Home / Stories and Information / Buying Tips / What is rhodium plating? Understanding the process and its benefits. Rhodium is a precious metal and it is a member of the platinum family, which makes it naturally white in colour. 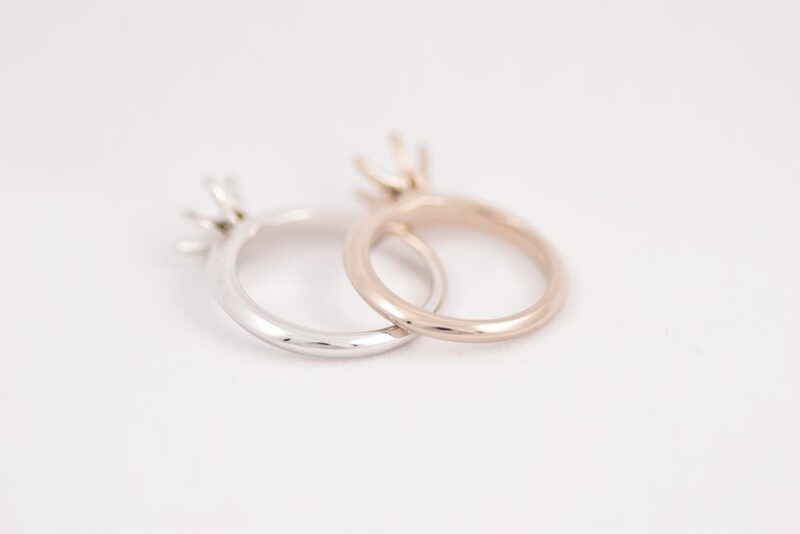 Rhodium is most commonly used in the electroplating process, to plate jewellery to give it a bright white finish that is hypoallergenic and less prone to tarnishing. The process of electroplating uses an electric current, which runs through the metal that is submerged in a solution of rhodium. The rhodium then binds to the metal that is conducting the electricity, causing the plating to take effect. As diamonds and gemstones do not conduct electricity, they are safe to be used in this plating process and it will not damage or alter their colour. This process can be used on silver to help prevent tarnishing, but is most commonly used on white gold to give it that bright white look. How long rhodium will last when it is plated on jewellery varies, depending on the style of the jewellery and the lifestyle of its owner. A rhodium plated ring will wear the fastest, as rings subjected to more wear than any other jewellery. It is recommended to have rings re-plated every 12 months to 18 months. Earrings and pendants wear a lot slower and you may never notice a change and colour and they may not need plating for years. The top image shows two rings, both 18K white gold. One which has been rhodium plated, and the other shows the natural colour of white gold, polished, before rhodium plating. To read more about white gold view our blog post here. We offer an in store rhodium plating service at a competitive price and fast turnaround.